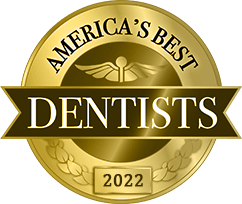 Dental lasers help us perform gum disease treatment, esthetic gum lifts, and other soft tissue treatments both quickly and painlessly. 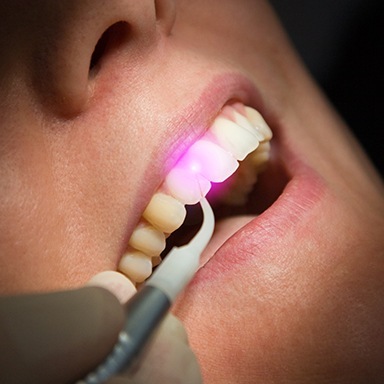 Dental lasers are appreciated for their ability to improve patient comfort, shorten treatment and healing times, and reduce or eliminate the need for anesthesia and stitches. They allow us to perform many procedures that traditionally would require a scalpel and sutures. Now, thanks to the laser, a patient can complete treatment in just one visit and walk out experiencing little to no post-procedure discomfort. 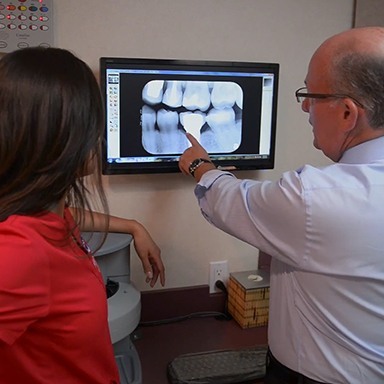 X-rays give us the ability to spot dental problems that lie below the surface of the teeth and gums, and thanks to the advent of digital technology, this tool is now better than ever. Digital X-rays can create crystal clear images in mere seconds, plus they cut down on radiation exposure by up to 90% compared to traditional dental X-rays. The images can also be blown up, rotated, and color coded for educational purposes. 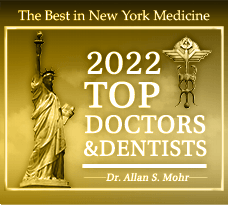 Dr. Mohr can digitally alter photographs to show you the proposed outcome of specific treatments. Seeing your smile on the screen will help you make a more informed decision and get the look you’re really after. This even gives you the chance to show friends and family how your treatment will affect your appearance so they can give you their opinion. It also gives you the chance to ask for any small adjustments you might like. Intraoral cameras can project live images of your mouth onto a chairside monitor for easy diagnosis and visual explanations. These images will not only make it much simpler for our team to spot small dental issues even sooner, but they’ll literally give you a whole new perspective of your smile. You’ll finally be able to see what your dentist is talking about, making it much easier to understand why we might be recommending a certain treatment! Dr. Mohr utilizes the CamX Triton HD, which provides outstanding flexibility and detail. The Proxi interchangeable head offers essential diagnostic aid when pinpointing cavities. We simply combine the tool with the CamX Triton HD intraoral camera and take a much closer look at your dental structure. 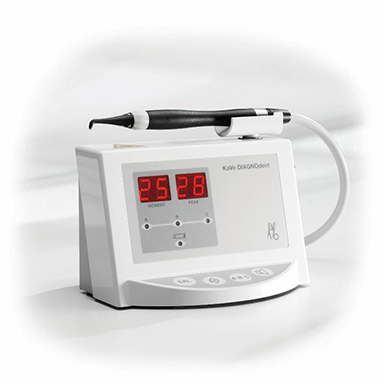 This technology offers interproximal caries detection, which means that it can discover even small areas of decay located between the teeth without requiring an X-ray. Patients who are sensitive to radiation, such as children and pregnant women, will benefit from this safer approach in particular. With this device, Dr. Mohr can find cavities in their earliest stages and offer the most conservative treatment possible. It actually uses an extremely-focused beam of light to scan the enamel, and it can find even the smallest indications of thinning, ones that would typically be missed during a traditional exam. 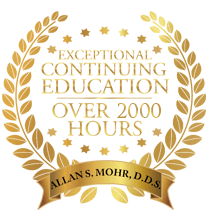 With this information, Dr. Mohr will be able to quickly intervene and stop many cavities from ever forming. Cavities can hide along fissure lines or inside the biting surfaces of the back teeth. 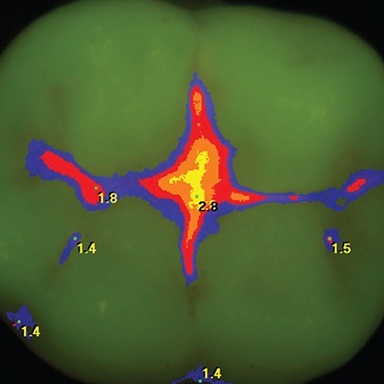 To make the cavity-detecting process more comfortable and comprehensive, we can use the Spectra Caries Detector, a revolutionary dental laser that finds cavities in their earliest stages. Thanks to this device, we’ll be able to stop cavities even sooner, which will preserve more of your teeth over time and help you avoid the need for more extensive procedures in the future. 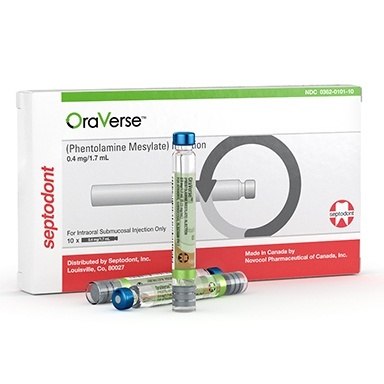 You can speed up your recovery to full sensation and function after a dental procedure with OraVerse. This is the first and only product that has been clinically proven to rapidly diminish the effects of local anesthetic, enabling a patient to get back to their normal routine even faster. Now, instead of waiting all day for feeling to come back to your lips and cheeks, you’ll only wait an hour or so, which will also protect you from accidentally biting yourself or drooling. 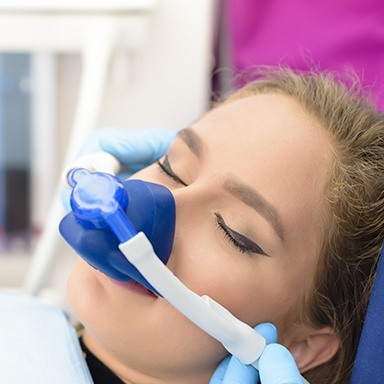 Patients who need help relaxing can opt for nitrous oxide. This colorless, odorless gas promotes euphoria as it’s inhaled through a small nasal mask. 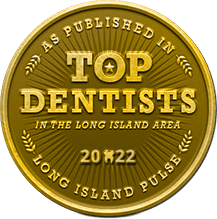 If there’s anything else we can do to enhance your experience at our Massapequa Park dental office, just ask! Once you sit in our plush dental chair with built-in La-Z-Boy massagers, you’ll instantly feel cozy and relaxed. Our friendly, attentive staff will tend to your needs, answer any questions you have, and ensure your continued comfort.